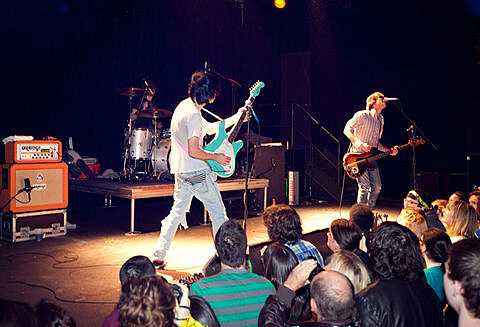 UK indie rockers The Cribs released their fifth album, In the Belly of the Brazen Bull, last week via Wichita. The new album marks the band’s return to a trio, following the departure of Johnny Marr who recorded with the band on Ignore the Ignorant. Thanks to the large sounding but raw-spirited production of Flaming Lips mainstay Dave Fridmann and noise master Steve Albini, and the punky songwriting that makes up most of the album, it’s easily one of the band’s strongest efforts. Stream the entire album below. The band are currently wrapping up a tour in their homeland, but they’ll be back on our shores for a tour this June with retro rocker Devin which hits Fitzgerald’s in Houston on 6/11 and The Parish in Austin on June 12. Tickets for the Austin show are on sale now.